Today’s first Ask Carolyn addresses dreading Mother’s Day. Happy Mother’s Day to all of you who have a great situation, but realize there are those around you for which Mother’s Day may be most stressful. The second question addresses getting on with your life after a relationship break-up. Is it un-American to dread Mother’s Day? I lost my only child, plus I do not get along with my Mother. My husband’s Mother lives in Greensboro. My Mother lives in Asheboro. We go to church, so whose Mother do we take to Sunday lunch? Plus, the Mothers don’t like each other, so taking them together is not an option. Help me, please! Whew! What a dysfunctional situation! Sounds like a good time for a beach trip. Seriously, holidays highlight and exacerbate family problems. Holidays can be stressful when there is family conflict. Given your loss of your only child, Mother’s Day can be a day that opens old wounds. Some churches I have been to recognize Mothers on Mother’s Day, and in your case, that may be salt in your wounds. I overall think churches should be more sensitive that Mother’s Day may be a day of reflection over a loss, rather than a celebration for some in the congregation, and I do not mean to be harsh. I would consider avoiding a situation that would send you into the doldrums. Now, the two Mothers. You do not say how your husband feels about his Mother and this holiday. You need open communication with your husband. Are there family traditions? Is he a Mommy’s boy? It appears you (or your husband) may have a tradition to take the Mothers to lunch after church on Mother’s Day. Options might be as follows: (1) Take neither Mother to lunch on Mother’s Day. (2) Take one Mother to lunch and one for the evening meal on Sunday. (3) Have lunch with one Mother on Saturday and one on Sunday. Let’s face it. Mother’s Day is a very commercialized holiday. 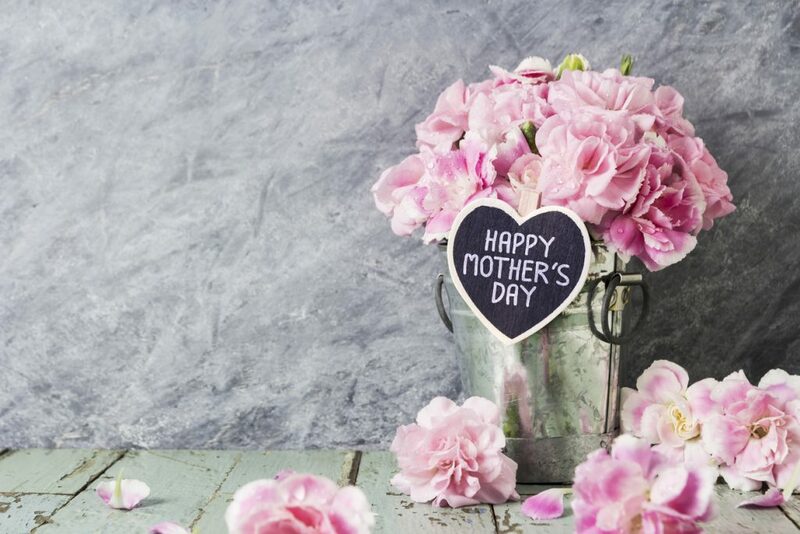 In the United States, Mother’s Day has been an official holiday since 1914 created by Anna Jarvis. Ms. Jarvis later denounced Mother’s Day when the day became so very commercialized. Mother’s Day as currently celebrated is tremendously different than its historic roots. The Ancient Greeks and Romans worshiped the mother goddesses Rhea and Cybele. Later in Europe, the “Mother’s Day” was a return to the mother church during the 4th Sunday of Lent. Parent-Child relationships are not frozen in time. The relationships can change. You might seek ways to improve (using creativity) your relationship with your Mother. Maybe the beach trip is the best idea after all! It doesn’t sound like your Mother’s Day here is going to be much fun. My niece is going through a divorce from her husband of 20 years. This divorce has been going on for four years. When will it end? My concern is that she is not getting on with her life. She seems to be living in the past. She has to sell her residence where she, her ex, and the two children lived together. She also is looking for a job, even though she has not worked for at least 15 years. She is living in the past. What’s going on? Reinventing yourself after change (such as divorce) is not easy for most people. We get set in our ways. At least your niece should be applauded for moving forward with the sale of the home and getting a job, if those things are economic mandates in her case. I cannot comment here on whether the sale of the home and the job search are reasonable, as I would need to know all the circumstances surrounding the divorce. I will address the point about “getting on with her life.” I have watched this process of change in thousands of cases. Let’s face it; divorce is change. What you do with that change is critical to your life success. One cause of failure to get on with your life in divorce is that the divorcee is stuck in the past and thus, in denial regarding the present circumstances. Divorce is a grieving process, and denial is the first step of the grieving process. Can a person get stuck in denial? Absolutely. If one is stuck in denial, then the change of moving forward seems not to happen. While psychological counseling is critical, I think that you as the aunt should be aware of the elements of the process of change. The first part of change is “pre-contemplation,” as described by Prochaska in “Transtheoretical Model of Behavior Change.” If you cannot see the need for change, then change is unlikely to happen. I doubt that those in denial are seeing the need for change and the need to move forward, as sad as this is. Showing someone this need for change and moving forward is frequently as difficult as dealing with an addict. Send your questions to Ask Carolyn through our website, on social media, by email at askcarolyn@rhinotimes.com, or mail them to P.O. Box 9023, Greensboro, NC 27427. Please do not put identifying information in your questions. This blog is a revised excerpt from Ask Carolyn, available on kindle.